According to a University of Florida retail security study, as much as one third of retail inventory loss is the result of shoplifting. When added up, retailers are losing nearly $11 billion to shoplifters every year. For large retailers, this is a major annoyance and can potentially lead to franchise locations being closed. 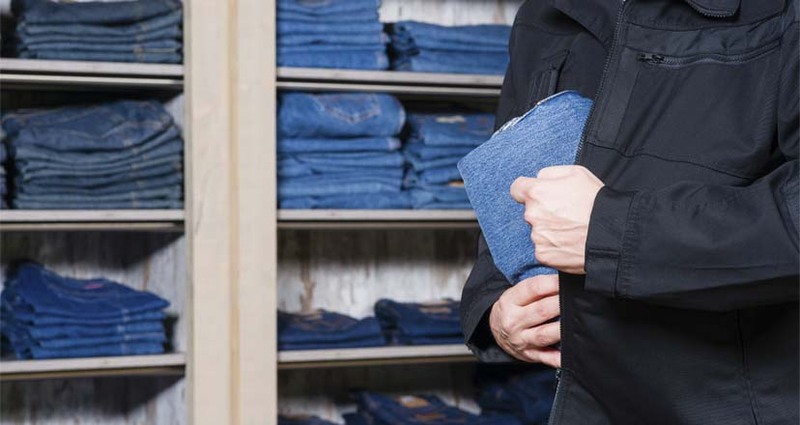 For small retailers, even a single act of shoplifting can be detrimental. Clothing, books, jewelery, and car parts are the most commonly stolen items, but every retail store needs protection. According to Joseph LaRocca, an adviser to the National Retail Federation, it isn't just random theft that is a problem. There are professional gangs who make retail theft their primary activity. How can you protect yourself from shoplifting? Here are seven tips to get you started. When a customer walks in to your store, try to make eye contact and be friendly. Individuals who won't make eye contact should instantly trigger a red flag. If customers won't make eye contact, ask them if they need help and stay in their vicinity. Whatever you do, don't walk away. Just being nearby is often enough to deter theft. Encourage your employees to make regular rounds of the store. They should walk down every aisle, paying close attention to aisles along the walls. They should also offer help to the people they pass and be able to identify those individuals who seem nervous, wander without really looking at anything, linger without buying, or constantly watch store employees. The more organized your store is, the more difficult it is for a shoplifter to steal. A disorganized store sends a message that tells shoplifters that you aren't paying attention. As part of your efforts at organization, keep shelves as low as possible so that shoplifters can't be out of sight. It's a fact that some items are stolen more often than others, as pointed out above. Keep high-theft items in plain view. Expensive items should be kept near the cash register, but don't forget that thieves are also looking for items that are easy to smuggle out of the store. You probably have to worry less about large televisions than you do about cellular phones, for instance. Casinos in Las Vegas, even though they compete with one another for customers, share information about potential cheaters and suspicious gamblers. You should share information with your neighbors about suspicious persons or behaviors and encourage your neighbors to do the same. It may help if everyone keeps logs of suspicious activity and if you have regular meetings to discuss important issues that affect all of you. According to research, roughly three-fourths of shoplifters don't plan their theft in advance. They simply steal when their desire for an item is met with an opportunity to take it without paying. Visible security cameras can help to prevent these "crimes of opportunity" from occurring. Increase the effectiveness of cameras by deploying signs and other measures that make people aware that they are being watched. Studies show that theft drops by 20% when cameras are installed. People can't steal if they can't get out of the store. The fewer exits you have, the harder it is for people to walk out unnoticed. The best solution is to have a single ingress/egress point near the point-of-sale system. An employee should be near the exit at all times. The tips above offer some of the most effective, most affordable measures for improving security and reducing shoplifting in your retail store. Keep in mind that shoplifters love chaos. The more crowded your store is, the more vigilant you will need to be. The basic rule of thumb is that if potential shoplifters think they can be seen by store personnel, they won't steal.